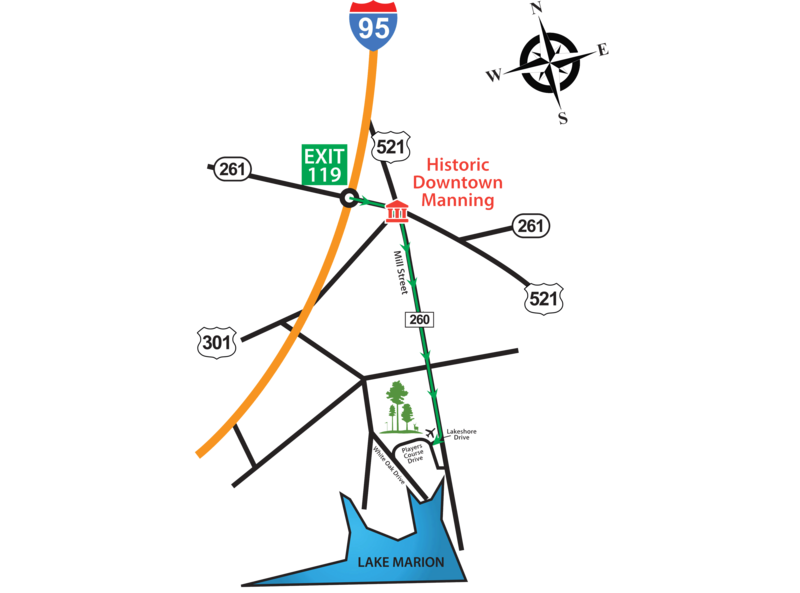 Directions: Take Exit #119 (SC 261) off I-95 into Manning. Turn right at SC 260 and continue 8 miles to Lakeshore Dr. Take next right onto Players Course Dr. and proceed about one mile to the Deercreek gate entrance just passed the Wyboo Golf Club entrance. Turn right onto Deercreek Drive. The Deercreek At Wyboo sales office is located approximately 1/4 mile on your right. Call Deercreek for GATE CODE: 803-478-DEER (3337).